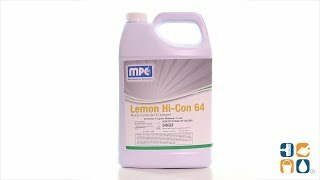 HI-CON 64 Neutral Disinfectant & Detergent is a multi-purpose, neutral pH, germicidal detergent and deodorant effective in hard water up to 400 ppm (calculated as CaCO3) in the presence of a moderate amount of soil (5% organic serum) according to the AOAC Use-dilution Test. 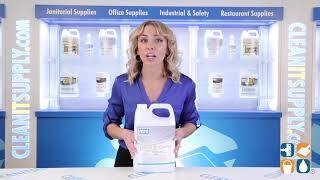 HI-CON 64 Neutral Disinfectant & Detergent disinfects, cleans and deodorizes in one labor-saving step. Lemon scent. Sold by the one gallon bottle. Call for 55 gallon drum pricing.